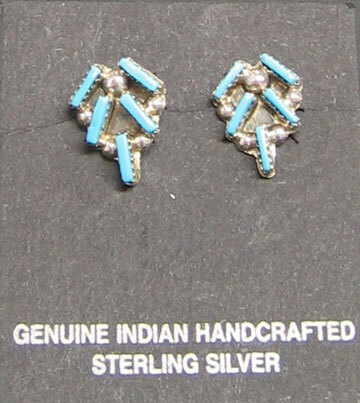 Zuni jewelry tends to differ from Navajo jewelry in that the Zuni craftsmen use smaller, finer stones. The end result is a highly complex and very desirable piece. These earrings are no exception, with the tiny bars arranged in a unique pattern.